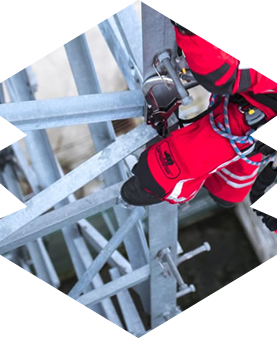 For more than 4 years, the team of UAB “Finėja” has been providing industrial rope access services. Many years ago, employees that have accumulated considerable experience united to UAB “Finėja” in order to offer their clients the most effective and optimal high scaler services, to carry out coordinated work professionally and qualitatively. We are fully committed to our activity, so we understand and know the subtleties of this area. In our work we continuously optimize our processes by applying innovative technologies, which allows us to offer not only unique and exclusive solutions to every client, but also an attractive price. 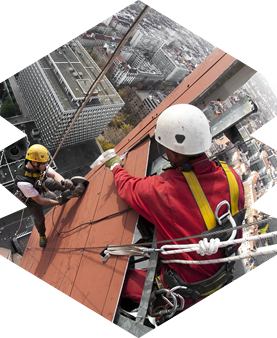 For more than 4 years, the team of UAB “Finėja” has been providing industrial mountaineering services. Many years ago, employees that have accumulated considerable experience united to UAB “Finėja” in order to offer their clients the most effective and optimal high-scaler services, to carry out coordinated work professionally and qualitatively. We have already been trusted more than one Lithuanian and foreign company. In Lithuania we mainly deal with household facade washing and repair. In the foreign, we have carried out inspection of the Dutch and Belgian wind farm parks, as well as installation and painting works. We made installation and maintenance of wind tunnel constructions in Shanghai (China), Shanghai Disney Resort. UAB „Finėja“ fulfilled the order timely and qualitatively, characterized by good organization of work, maintained appropriate security measures and regulations, and the work was carried out by highly qualified staff. The work was regularly monitored by responsible employees of UAB „Finėja“, who performed photo fixation. In this way UAB “Adminta” bought a truly quality service from UAB “Finėja”, where the quality / price ratio was optimal. We can responsibly recommend this company as a reliable partner. Working together with UAB Fineja has been a very good experience for our company. For a large project in 2017 we hired technicians from UAB Fineja. The communication with the office but also with the technicians was very pleasant. The rope access technicians were eager to work and performed well. Aerodium Technologies have colaborated with Fineja and used it’s services from the year 2015th and is continuing cooperation for the maintenance of the vertical wind tunnel equipment. 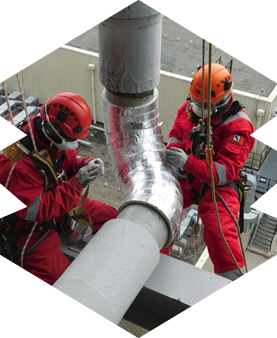 Industrial climbers from Fineja have carried out maintenance work and inspections in hard to reach areas. Service provided by this company is great and we have not had any bad experience. Response and mobilization time is very quick and it is always possible to find solution for any situation. Smooth communication and arrangement skills are worth appreciation. 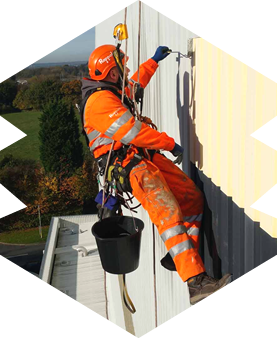 I suggest Fineja for work at height and hard to reach areas, as all work execution provided by them has been completed with top quality and they have proved their proffesionality.